Originally released as a series of self-published A5 comics, Filmish – Edward Ross’s illustrated journey through the world of cinema – is getting the ‘director’s cut’ treatment courtesy of the fine folks at SelfMadeHero. Rather than just a hasty repackaging of the original material however, this is actually an entirely redrawn, remastered and Dolby digital surround sound (probably?) edition of Edward’s quirky-yet-informative passion project. Essentially, what we have here is an examination of the techniques, history and cultural impact of film. Far from being a dry, emotionless textbook however, Edward’s clear affection for the subject matter shines through in every page as he narrates the history of the medium, gleefully inserting himself into some of the most iconic movies ever made along the way and injecting the whole book with a much-needed dose of raw enthusiasm. With chapters that break down the different aspects of film, from the eye to the body to the technology itself, this is a book that can be dipped in and out of at will, with almost any page guaranteed to contain at least one interesting tidbit or smile-raising panel. This is a also book that works on a variety of levels; firstly, the content is genuinely interesting, as Ross leads us by the hand through the history of film, from its bare bones inception all the way to the 3D, CGI-laden blockbusters of today, providing insight and context in a truly accessible way. Secondly, the artwork is absolutely wonderful; simple, sure, but filled with charm, expression and instantly regonisable characters from the films we all know and love, as well as innovative and inventive page layouts. And finally, Ross manages to pack an almost dizzying amount of visual Easter eggs and cinematic references into the book, with quotes, callbacks and visual homages aplenty, making repeat readings – with one eye on the exhaustive references section at the back of the book – a truly rewarding experience. This is clearly a labour of love for Ross, and the way he manages to disseminate such potentially dry information in a truly engaging way can’t be applauded enough. Granted, your enjoyment of this book is going to vary greatly depending on your personal love of cinema, but regardless of your interest in the medium prior to picking it up, I can absolutely guarantee that you’ll find something to make you smile, raise an eyebrow or nod your head in agreement with over the course of these 200 pages. If there’s one thing I love just as much as the world of comics it’s the world of film, and seeing these two distinctive media come together in such a lovingly created way is an absolute joy to behold. 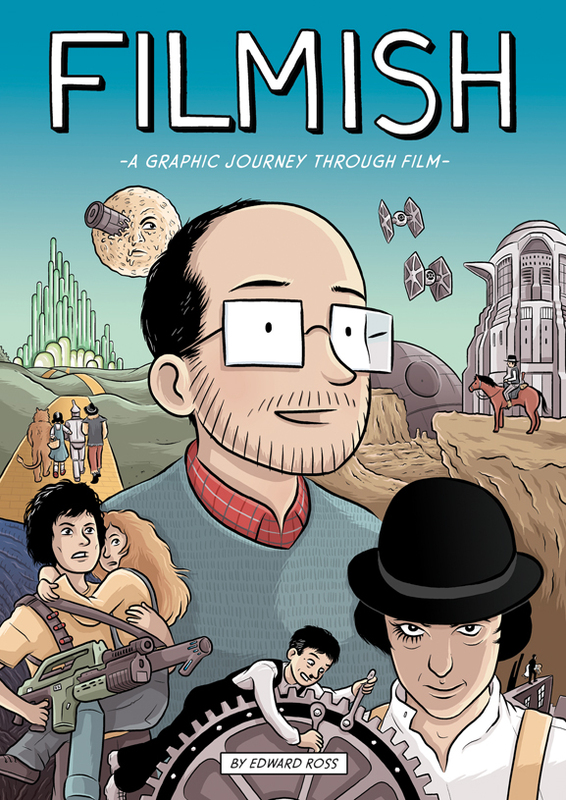 While some people will baulk at the idea of a – gasp – educational comic, Filmish is a perfect example of an accessible, engaging and utterly charming way of relaying information, and is essential reading for any and all wannabe film buffs out there. Filmish will launch on Saturday November 7th at Gosh! Comics in London, before being available at the Thought Bubble Festival on November 13th and 14th. For more information about the book, and to order yourself a copy, make sure to check out the official Filmish website.